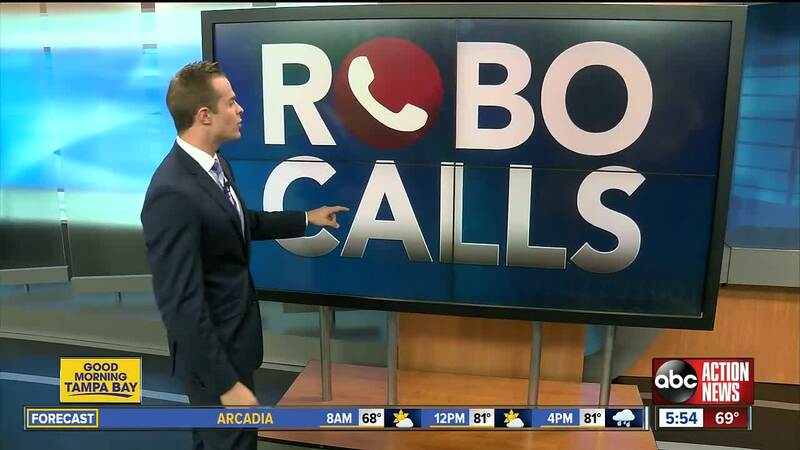 TAMPA, Fla. — In January there was a new all-time high for robocalls — 5.2 billion calls nationwide, according to a company called YouMail that collects data on these calls. Health insurance scams, interest rate scams and student loan scams topped the list of the most common types of calls. In Tampa, Florida, the robocalls measured up to about 18 robocalls per second. The number of robocalls in January was down from December but that doesn't mean the calls are stopping. One person wrote on Facebook that she's received 232 robocalls to her cellphone in the past month. Robokiller — This paid-app blocks the call, making sure you never even receive it, and then it will keep the caller on the line for 45 minutes. *77 — Use this method on your landline. It will block any anonymous callers. Check with your cellphone carrier. Most major carriers offer some sort of robocall blocking service, a lot of times for free. NoMoRobo will block your unwanted calls. Truecaller will let you know who's calling. Block the call — This doesn't always solve the robocall problem. But, at least the same number won't call you again. Register with the Do Not Call List.